Castreccioni is a small photozine with shoots from Cingoli (Italy) alternating with others made during the recording of the album "Wanderings", the latest album from Blue Birds Dominion. 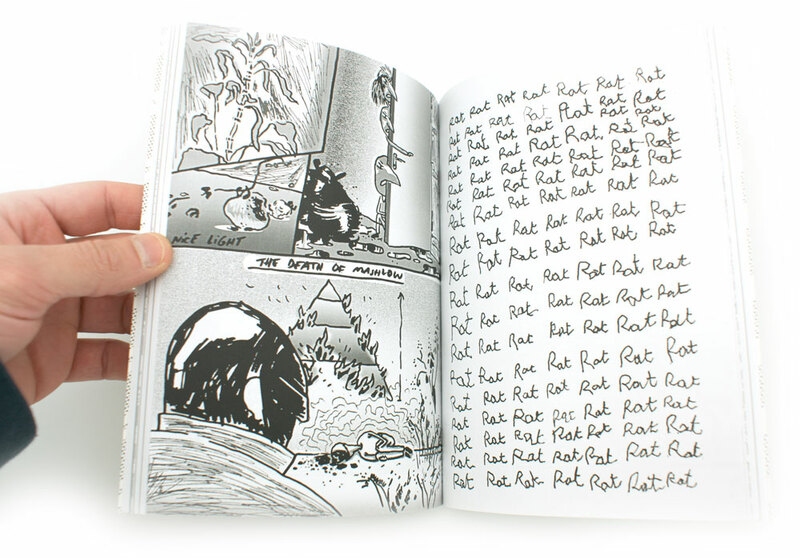 The zine is published by Bad Weather Press with a limited edition of 50 copies. You can get one here. Wedding website for Lien and Aniol. Mural in Port d'Aro by Philip Stanton, inspired in the Costa Brava, where the port is located. Worked together with Bartek Jah and Katarzyna Talikowska. Here a "making off" video. The death of Maslow is a comic page I did for Lazer Artzine. The story explains how three boys (Hate, Pain and Justice ) who decide to end the delicate social balance that still remain in the world. 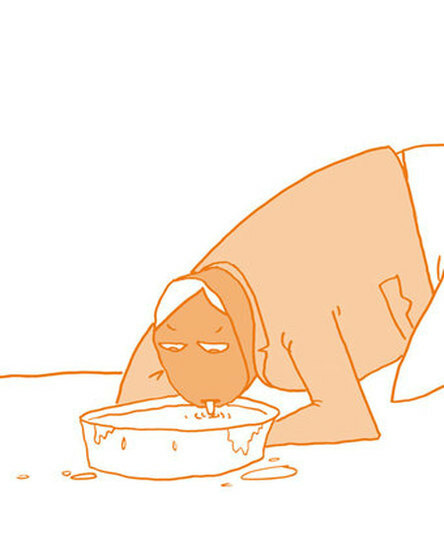 Man drinking milk from a basin. Drawing for the italian minizine 10/01 by Marco Amrosi & crontributors. 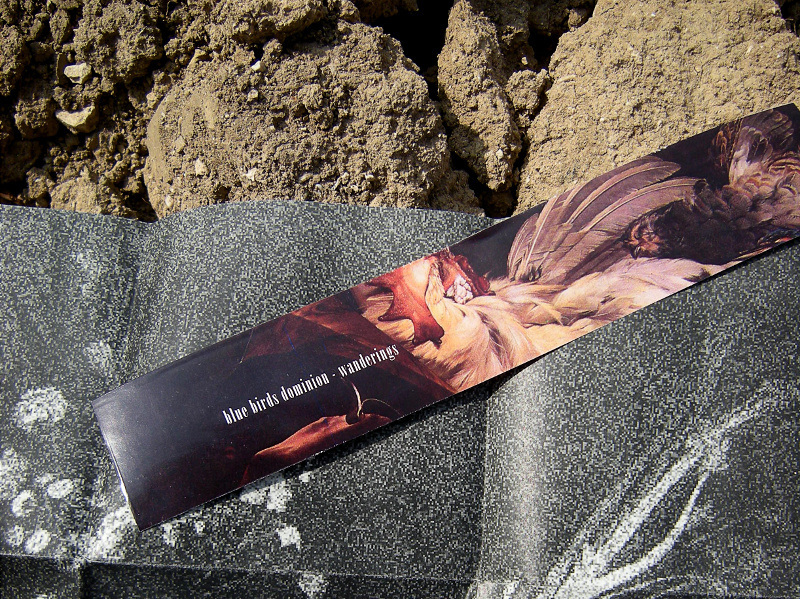 Edition of 250 copies. 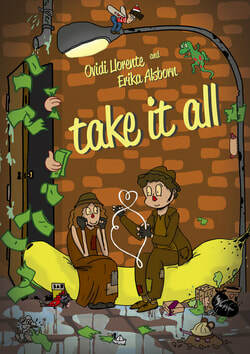 Poster for Take it all, a silent play by Red the Nosepaper (Ovidi Llorente and Erika Alsborn) where feelings take place. Friendship, love, care, game, cooperation turns into competition, fight, jealousy and envy. Sadness will try to remind the happiness. "I" is the name of the first work from Exercise, a collaboration between Leonardo Amico and Leonardo Belardinelli. Leonardo Amico is a laptop noise improviser with Combustione & Liberazione and runs the zine/music label Orgonomy Records. Leonardo Belardinelli is a former guitarist of the black metal band Visceral Delirium. For their first album for pan y rosas, Amico and Belardinelli recorded a live improvisation session with a guitar and drums. The guitar was later removed, leaving only the drums. Amico then used a laptop to process the drums live. The result is two long tracks of free drumming moving in a stream of consciousness loose narrative flow. Sparse high-pitch microbeats and subtle sounds furiously torn into pieces. Distorted, multi-toned, multi-layered, spun in every direction. Download here. Book-zine about experimental music. I did this project during the third year of college, and I'm thinking in a third one. Cover design for the album "Wanderings" from Blue Birds Dominion. Produced by Orgonomy Records. Italy 2013.